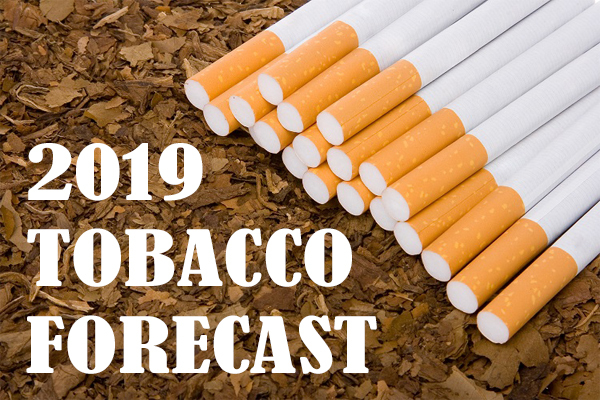 A forecast of the Tobacco Industry for 2019. The continued regulatory crackdown on cigarettes sales is affecting both Hawaii retailers and the convenience industry as a whole. According to IBISWorld, cigarettes, including menthol, account for more than 71% of the U.S. tobacco wholesale market, but retail volumes keep falling. 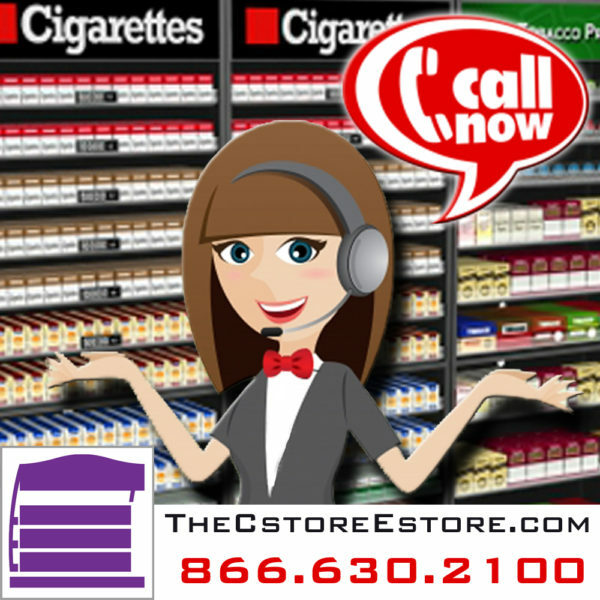 C-store smokeless sales have had ups and downs in recent years. In 2017, the smokeless tobacco category sustained a substantial hit when Altria Group issued a nationwide recall for some of its most popular brands, including Copenhagen and Skoal. Fast forward to 2019 and the category is still standing on unsettled ground. Smokeless tobacco sales have climbed back up, but remain below pre-recall levels. 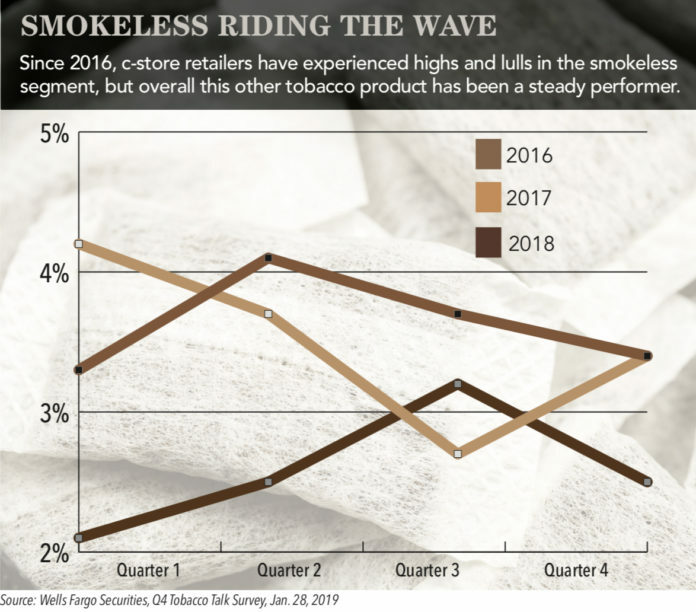 According to the Wells Fargo Securities’ 2018 Q4 Tobacco Talk Survey, convenience store owners and operators were less optimistic for growth through last year than they were for 2017, and notably less than in 2016. 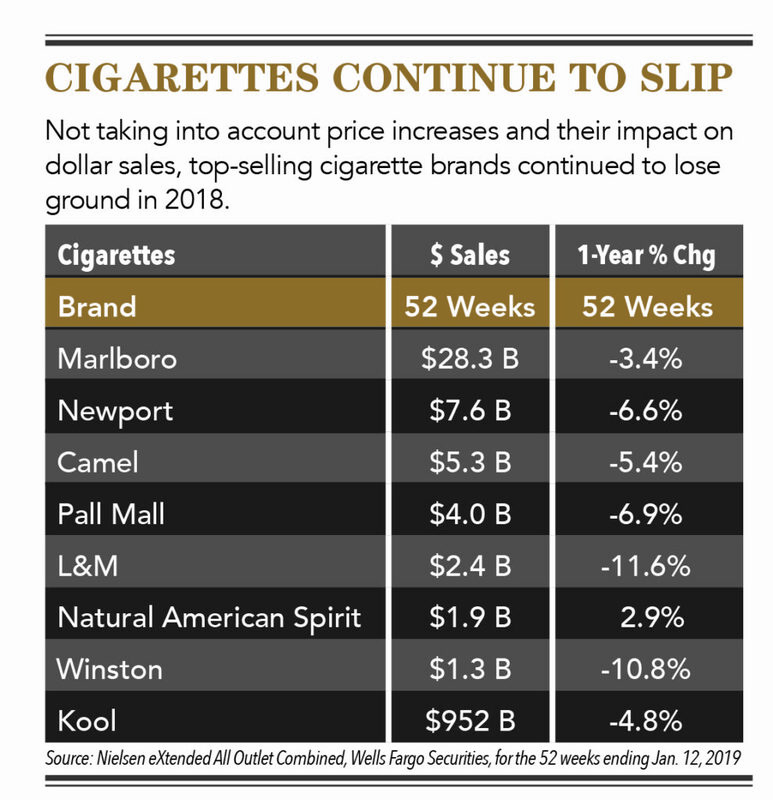 In the 52 weeks preceding March 2018, three companies—Altria Group Inc., British American Tobacco and Swedish Match—accounted for about 98% of U.S. dollar sales of smokeless tobacco. There are multiple factors at play, including state and local regulations. Minnesota is a prime example. Last summer, Minneapolis implemented a ban on mint and wintergreen smokeless tobacco products from any retailer except tobacco shops and licensed liquor stores. Several other cities in the Gopher state have passed similar bans, creating a noticeable shift for the other tobacco product (OTP) segment. C-stores in the state have been affected in varying degrees. “We are a small chain, and 40% of our locations are affected by the menthol ban. These locations are seeing high double-digit declines. The remaining locations are up double digits if they border Minneapolis or flat if they are located in second-ring suburbs,” said Madalena Morgan, director of convenience store operations for Bobby and Steve’s Auto World, a chain headquartered in Minneapolis. Massachusetts is another state struggling with a variety of municipal regulations for other OTPs, in addition to a high tax base. “Massachusetts has a 210% excise tax rate, so we stay flat or slightly down. I do have two stores in New Hampshire that do better. They are up slightly in all styles and brands,” said Anna Bettencourt, senior category manager for Verc Enterprises. 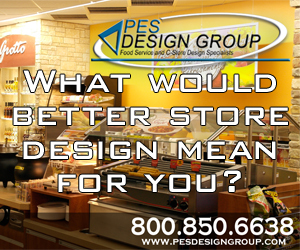 The company operates 24 stores. Fact.MR, a market research firm, estimates the global snus segment will exceed $1.4 billion by 2022. The market research firm also predicts the original flavor snus will remain a customer favorite, and could reach nearly $600 million in three years. 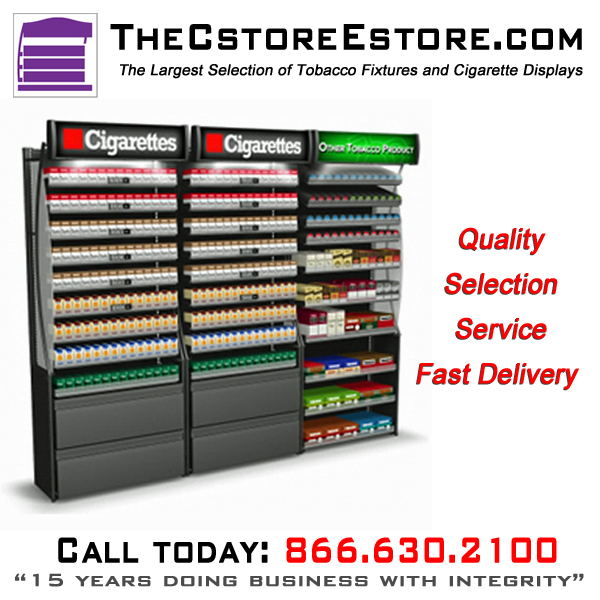 Domestically, c-stores await the U.S. Food and Drug Administration’s decision on several modified-risk tobacco product (MRTP) applications. Currently eight Swedish Match General snus applications have progressed to the second stage of consideration. Global snus sales could exceed $1.4 billion by 2022. Altria Group Inc., British American Tobacco and Swedish Match now account for about 98% of U.S. sales of smokeless tobacco.